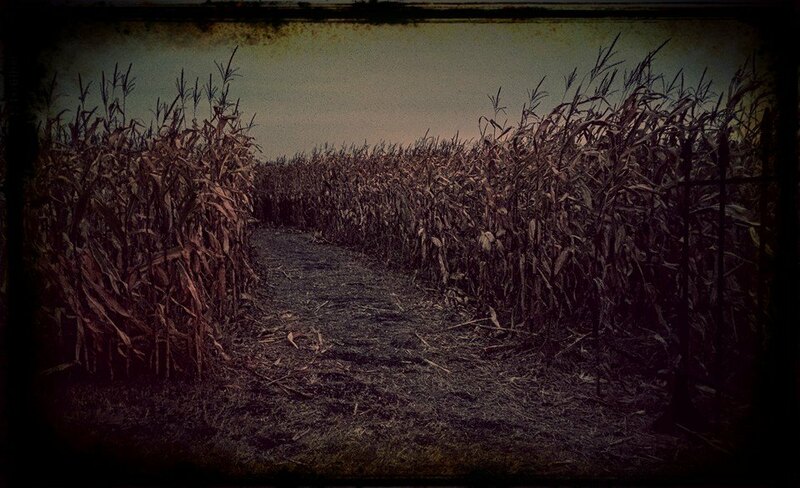 The Haunted Corn Maze is a place for kids and adults of all ages! Nights are haunted for those looking to get spooked and days (by appointment only) are unhaunted for families to enjoy. At night those who are brave enough may walk through our haunted maze or warm up by the bonfire in the commons area with a cup of hot cocoa and a snack. Please contact us for group rates or to reserve a party room in the corn field with a private bonfire. 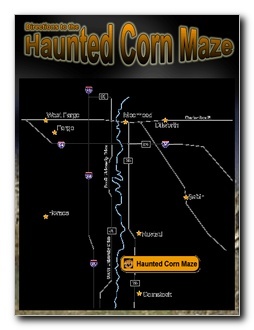 The haunted corn maze is located 10 miles south of Moorhead on HWY 75 or 3 Miles No. of Comstock. Click on the map for directions!